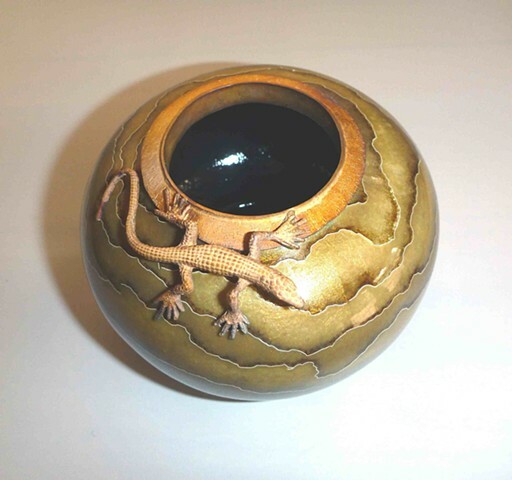 This piece, Canyon Lizard Vessel, uses the cloisonné enameling technique to describe the stratified rock layers of the lizard's habitat. The creature is cast in sterling silver through the lost wax process. Canyon Lizard Vessel is one of a rare limited edition series. The image of the vessel on this website portfolio is an example of the Canyon Lizard Vessel series. Each piece is hand-made by the artist & has its own distinctive features.